"I was asked if I was sad to not be attending the World XC Championships. I thoughtlessly said that the race was no longer significant, and that was why I was not running it. That comment came off as careless and wrong. 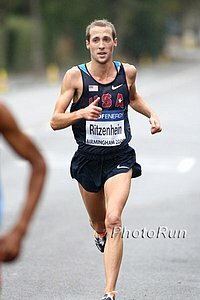 I know that, especially to the athletes who are competing there, it can be a very important step in international development,"
- 2:07 American marathoner Dathan Ritzenhein, himself a former world junior cross country medallist, responding to criticism that erupted last week on LetsRun after his original anti-World XC comments were our QOD last Thursday. The original comments sparked this MB thread, "Anyone else totally disgusted by Dathan Ritzenhein's comments about world cross country?" The apology has sparked this MB thread: Ritz apologizes for World XC comments. 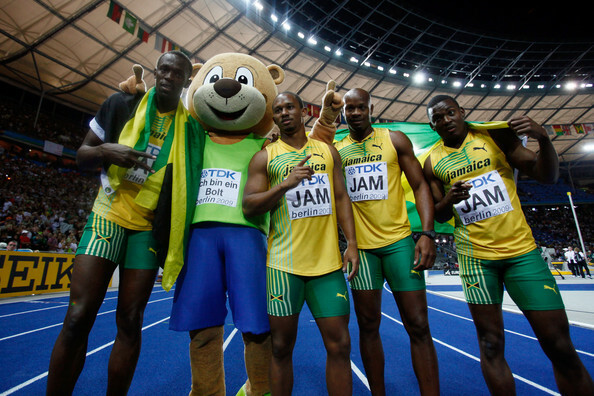 USA Indoor Track and Field Championships were a DISGRACE - Agree or Disagree?? Why does almost every athlete Alberto Salazar starts coaching improves dramatically so fast? Recommended Read USATF CEO Max Siegel Overcame A Really Rough Childhood To Be A Huge Success "(All my homes) were all bad. It is hard to measure degrees. There was a lot of violence, a lot of alcohol. I grew up feeling uneasy, craving stability....I didn't enjoy my childhood at all...From an early age, I made a conscious decision not to let what anyone else thought of me affect me emotionally." * It Takes A Strong Man To Apologize: After Messageboard Backlash To RW Interview, Dathan Ritzenhein Apologizes For Comments About World XC "No Longer Being Significant"
Day 2: LRC Mary Cain Dominates & Wins Her First US Indoor Title Cain was simply brilliant and thrashed the field. In the process, she showed a technical savvy and closing speed way beyond her years. *LRC Rest Of Mid-D & Distance Action: Will Leer Completes Heart-Warming Double As Erik Sowinski's Dream Season Continues And Teen Phenom Ajee Wilson Joins Cain In Winner's Circle The 2013 USA indoor meet ended up being fantastic from a fan's perspective. With his cancer-stricken father in the stands, Leer found the guts to complete the 3k/mile double as Erik Sowinski just held off Robby Andrews and Wilson led throughout. *USATF Recap Of Day 2 Ryan Whiting threw a world leader in the shot put (21.80), Mississippi State's D'Angelo Cherry ran the world's 3rd-fastest 60m of the year (6.49 - world leader is 6.48) and 2004 Olympic gold medallist Jeremy Wariner won his first-ever US indoor crown with a 45.82 clocking (#4 in the world). Chelsea Reilly won her first national title in NASCAR fashion as she and Lisa Uhl collided right before the finish with Uhl catapulting herself head first off the track. Fortunately, both women survived without serious injury. Will Leer dominated the men's as expected. Can he pull off the 3k/mile double tomorrow? In the 800, the "names" - Mulder, Andrews, Centro, Sowinski - all advanced except for Mark Wieczorek. Even The XC Stars Don't Kid Themselves: Ireland's Fionnuala Britton: "I'm not stupid, I know that the track is where it's really at." "They (cross-country and indoors) are all just stepping stones to where everybody in the sport wants to be." West Ham Co-Owner Says Olympic Stadium Deal Will Be Completed By March 16th He said, "I'm embarrassed because I've tweeted ten times that it's going to be next week or next month and here's a date ... But I think we are close." Peter Eriksson Acts Fast After Olympic HJ Bronze Medalist Robbie Grabarz Has A Horrible Euro Champs Finishing 6th Grabarz has admitted recently to a motivational trouble and will probably see a sports psychologist. UK Head Coach Peter Eriksson Happy With The Team's 8 Medals At European Champs It was one less than they got last time with Van Commenee, but they had more golds this time. Gutsy In Japan: Former Japan NR Holder (2:06:51) Atsushi Fujita Says He's Looking To "Settle on a Retirement Race" After DNF'ing At Lake Biwa The 36-year old started the race despite having fractured a rib in training just five days before. He took pain killers and started out in the lead pack but dropped out at 15k. World Silver Medalist, Kenya's Vincent Kipruto, Wins Lake Biwa Mainichi Marathon In 2:08:34 After Outprinting Ethiopia's Tariku Jufar (2:08:37) Masakazu Fujiwara was the top Japanese runner in 2:08:51. 30k WR holder Peter Kirui led early, but faded badly and finished outside the top 10. 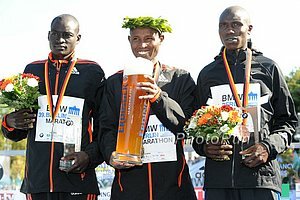 2010 World Half Champ Wilson Kiprop Wins Roma-Ostia Half Marathon In 59:15 As Filomena Cheyech Wins Women's In 67:39 The men's race was fairly close with Edward Kwemoi Chomesin 2nd in 59:19 and Simon Cheprot 3rd in 59:20. Other Japan Weekend Action: 19-Year-Old Daichi Kato Beats Yuki Kawauchi At Kanaguri Hai Tamana Half 1:03:01 To 1:03:12 Shogo Nakamura won the National University Men's Half Marathon Championships in 1:02:41. Just Another Day: Double Olympic Wrestling Champ Goes On Hunger Strike In Protest Of IOC Decision To Cut It Will this really be any different from his normal pre-competition routine? The Guardian: "The Loss Of Jessica Ennis's Stadium Makes A Joke Of Olympic Legacy"
The Stadium Where Jessica Ennis Trains In Sheffield Will Be Demolished Her coach said, "We're going to be all right for this coming season because it's open, but any sort of move towards the next Olympic games and retaining Jess's title has been dealt a hefty, hefty blow." LRC Meet Jacob Burcham: West Virginia's 4:02 High Schooler Wants To Go Sub-4 This Spring Joel Wolpert has produced a short film on the WV star, who while certainly very talented, is far from obsessed with running. Burcham, "I used to think of myself as a football player all of the time. I still kind of do in my head." LRC Farah Outkicks Gebremariam, Meseret Defar Over Shalane Flanagan, Kara Goucher Way Back Meseret Defar's second half marathon was much like her first one, a win (1:07:25) over Shalane Flanagan (1:08:31). Mo Farah doesn't lose and he found a way to beat Gebre Gebremariam 1:00:59 to 1:01:00. *Mo Farah's 1:00:59 Is A New British Record This is actually slower than the 60:23 he ran in his debut at NYC, but NYC is not a record-eligible course. *IAAF Recap Farah said he had a brief side stitch at the ninth mile which might have had to do with drinking too much water. LRC Friday Tidbits From Stockholm: Update On Galen Rupp's Record, Plus Dibaba News We've got splits for Galen Rupp's last 600m, plus news that Genzebe Dibaba is not now coached by Jama Aden, the coach to Taoufik Makhloufi, who has strong USA ties. LRC Galen Rupp 7:30.16 American Record! 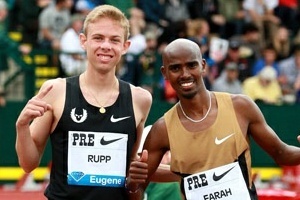 Aregawi Just Misses 1,500m World Record Galen Rupp's tremendous 2013 continued with his finest performance yet. Not only did he get the American record, but perhaps most importantly he got his first European win of note. The other big news was new Swedish citizen, Abeba Aregawi, just missing the world record by .12 in the women's 1,500m. In other action, Genzebe Dibaba blitzed an 8:26.57, Mohammed Aman ran a world leader in the 800m, and Matt Centrowitz came up well short of the American 1,000m record. Flash recap. *IAAF Recap: Olympic Silver Medallist Yarisley Silva Breaks Her Own Cuban Record And Sets World Lead In PV With 4.71m Shelly-Ann Fraser-Pryce set a PR in her 2nd-ever 60m to win with 7.04. Bernard Lagat's Agent Says He Wants Under 61 Minutes At NYC Half; Mileage Has Gone Up From 65 To Hitting 80 Lagat: "The way I can handle the longer stuff now in training, it feels like I made the right decision. When you think about it, I've been holding back for a long time, so I am basically getting to where I should have been maybe in real life four years ago." RR: Being Snubbed By UK European Selection Committee Motivated Chris O'Hare To Set The Collegiate Mile Record At Millrose "That's what makes athletes, their disappointments and their lack of success at some point. That's what drives every athlete to their success." Kenya Gives The US Some Respect: Kenya World XC Team Reports To Training Camp: Mercy Cherono Says She "Relishes The Challenge From Ethiopia AND USA Athletes" Other good news for the US, it seems Kenya is going back to it's potential killing pre-championship training camps as 28 are at the camp, but only 24 make the team. The head coach said, "We will have a serious and tough training. And those who want to escape the axe must prove their mettle." 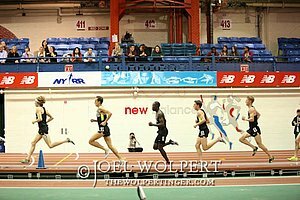 LRC: Records Galore At 2013 Millrose Games: Lagat, Mary Cain, 2 X 600, Chris O'Hare Mary Cain started the record-setting night in the women's mile and it continued all night after that until Chris O'Hare set a collegiate record in 4th place in the Wanamaker Mile. In between, Bernard Lagat barely got back his 2 mile record, unheralded Erik Sowinski upset Duane Solomon AND Nick Symmonds to set the American record in the 600, and Alysia Montano crushed the field and the AR in the 600. A Must Read: Daring To Ask The PED Question: "If everyone is secretly suspicious of so many athletic achievements, why aren't we talking about it?" In our last Week That Was, we said, "There are two types of runners - those that either 'get' letsrun.com or don't." Well, sports writer Bill Simmons might not be talking about running, but he definitely "gets" LRC as he explains why questioning today's professional athletic performances in is not only okay, but has become part of sports. As he says, "There is no such thing as 'the benefit of the doubt' anymore. Not in sports. Too many people took advantage. All the benefits are gone." It is for this reason that we allow threads like this one to exist: MB: Solomon suddenly world class and Rupp soloing 3.50 indoor miles - Come on Letsun, ask the questions! LRC Chris Derrick!?! - National Champion! link fixed The wait is over. Arguably the greatest American collegiate distance runner not to win an NCAA title, Derrick pulled away from Dathan Ritzenhein and Matt Tegenkamp to win his first national title in his first race as a sponsored pro. It was a good day for Jerry Schumacher's crew as they had 3 of the top 4 in the men's race plus Shalane Flanagan winning the women's. LRC Shalane Flanagan Wins 2013 Women's US Cross-Country Championships Flanagan was the class of the field (World XC bronze in 2011), but Olympian Kim Conley put up a brave fight. 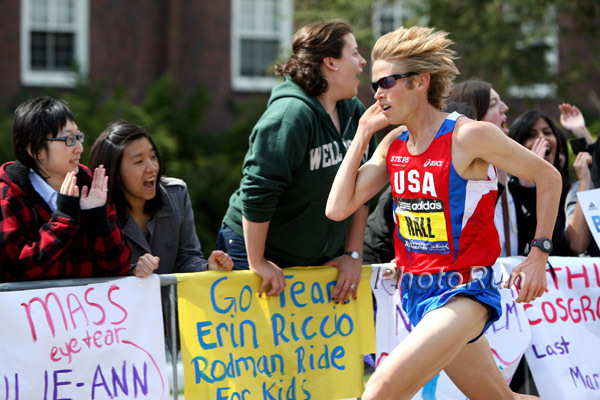 Afterwards, Flanagan said she will not run World XC as she prepares for the Boston marathon. RWorld Re-Introduces The World To Debbie Heald, Who 40 Years Ago Incredibly Ran The US HS Indoor Mile Record Of 4:38.5 Steve Friedman's piece on Heald is moving to say the least. 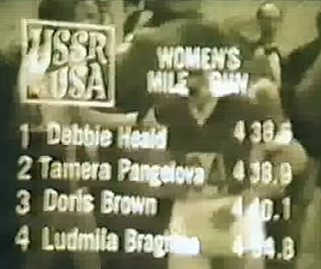 Heald, whose father had committed suicide, who had been molested and who was always battling injury (13 different running-related surgeries), somehow at the US vs. USSR meet at age 16 in 1972 beat the greatest runners in the world, including the indoor 1,500 record holder and that year's eventual Olympic 1,500 champion, by running an a 8.5-second PR of 4:38.5. She came from way back to win thanks to a ferocious kick and she was known for having no kick. Her life since then has been full of struggles with schizophrenia but her HS indoor record still stands. 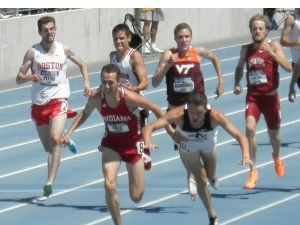 2013 Indoor NCAA Fields Are Announced Who is in? Who is out? Who is running what? NCAA Indoor Champs Will Be Live On ESPN3 This Weekend here will also be replays on March 17 on ESPNU. Kenya Election: After 19 deaths (mainly caused by separatists on coast), Deputy Prime Minister Uhuru Kenyatta holds an early lead over his main rival, PM Raila Odinga. The US and other Western allies of Kenya have warned of possible "consequences" if Mr Kenyatta wins. 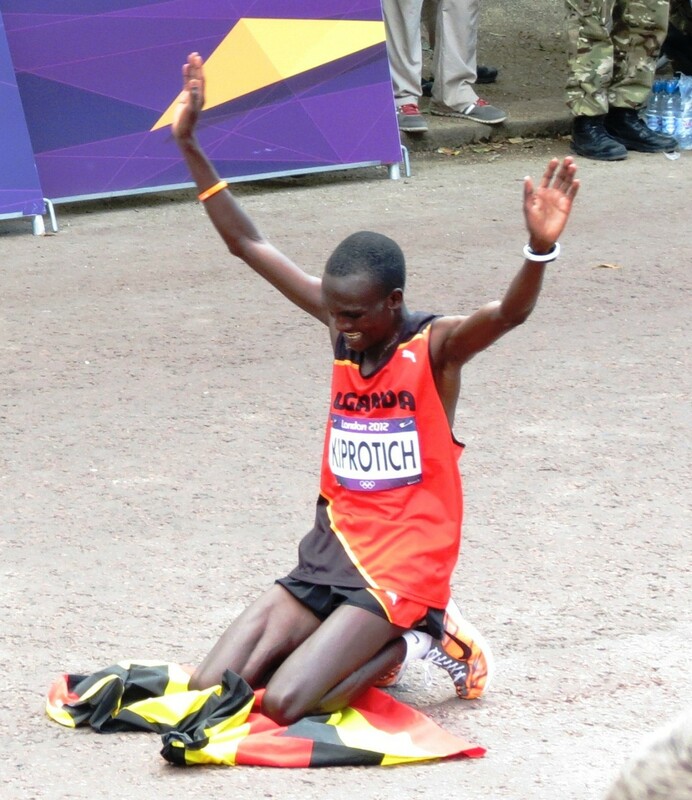 Olympic Marathon Champ Stephen Kiprotich Involved In Car Accident But Is Uninjured There aren't many details, but his vehicle swerved off the road and two of the other athletes in his car were seriously hurt and admitted to the hospital. World Indoor 800 Champ Pamela Jelimo Headline 400 Field At The First AK/National Bank Of Kenya Track Meet Of The Year In Nairobi On Friday/Saturday Also in the field are world junior 800 silver medallist Winnie Chebet and former World Youth champ Cherono Koech. Olympic 800 bronze medallist Timothy Kitum will also compete in the 400. Al Sal Defends Mo's Lucrative London Payday "If they think this is in the best interests of their race, I don't know how anybody can criticize Mo." Day 3: AP: Portugal's Sara Moreira Of Portugal Dominates Women's 3,000-Meter Race At The European Indoor Athletics Championships On Sunday She led most of it and won by 2+ seconds. Euro XC champ Fionnuala Britton was third. IAAF Recap: Poland's Adam Kszczot Defends 800 Title In 1:48.69 As Ukraine's Natalia Lupu Wins 800 In 2:00.26 France's Olympic steeple silver medalist Mahiedine Mekhissi-Benabbad won the 1,500. French PV Superstar Renaud Lavillenie Wins In 6.01m After Having His Clearance Of 6.07m Ruled A Foul Because It Became Dislodged From One Peg He wasn't happy afterwards as he "raved with frustration and thundered a mighty kick of rage into the hoardings" and threw his victor's bouquet over the barriers. If legal, it would have been a 4cm PR and 2nd all-time indoors or out. The Other Mo: UK's Somalian-Born Mukhtar Mohammed Wins Bronze In 800 He said, "In Kenya, I get mistaken for Mo Farah a lot. When I go for my run and I put on my British kit, I can hear everyone shouting 'Mo, Mo, Mo.' I'm saying to them, 'I'm not Mo, I'm not Mo.' I get all the kids coming up to me trying to run with me." BB: European Champs Day 3 "As It Happened"
Austin Mudd Beats Out Mac Fleet In Alex Wilson Mile Mudd ran 3:58.59 to Fleet's 3:58.90. Notre Dame DMR Mania Yet Again: PSU Runs #2 DMR In NCAA History - 9:26.60 - Without Cas Loxsom And the scary thing is the team is led by two freshmen and a sophomore. Princeton also impressed with an Ivy record at 9:27 thanks to a 3:56 from Peter Callahan. The Race Of His Life! Arkansas' Leoman Momon, Who Was Just 8th At SECs, Runs 1:46.07 A Beamonesque improvement as his SB was 1:50.21 and his PR was 1:48.73. Man, 46, Suffers Massive Cardiac Arrest As He Starts Swim During Alcatraz Triathlon In Calif.
*IAAF Day 2 Euro Recap: Sweden's Abeba Aregawi Takes 1,500 Gold With The Largest Margin Of Victory In The 42-Year History Of The Event She won in 4:04.47 as Spain's Isabel Macias was second place 9.72 seconds back in 4:14.19. *European PV Comes Down To A Jump-Off Between Eventual Winner UK's Holly Bleasdale And Runner-Up/Defending Champ Anna Rogowska She was offered the choice between sharing the gold medal or a sudden-death jump-off and chose to gamble. Good for her; ties in championships are never popular with fans. *After A Photo Finish In 60m, France's Jimmy Vicaut Gets The Win He shared an identical finish time of 6.48 with James Dasaolu; they now share the world lead. *Disappointment For Ireland After One Of Their Top Medal Chances Derval O'Rourke Misses Medal Stand In 60H By One Hundredth Of A Second "It's not arrogant but my problem is that I don't believe any of those three girls are better than me. If I thought that I wouldn't be the woman that I am." Wow: British Columnist: TV Interviewer's Mo Farah Gaffe Is Typical Of The Self-Absorbed United States Of Amnesia "Large parts of the United States of Amnesia still exist in a cultural vacuum. If it doesn't happen between sea and shining sea, it doesn't make the cut." *Video Highlights Of Day 1 Here. 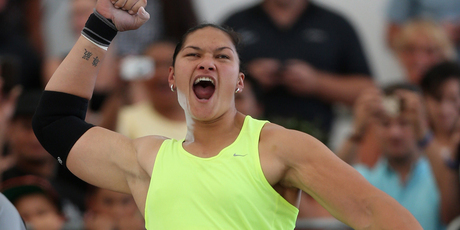 Competing In Front Of 400 Fans, Double Olympic Shot Champ Val Adams Sets New NZealand All-Comers Indoor Record Of 20.75m That's better than the 20.70 which won her Olympic gold. Nick Willis Misses World Champs 1,500 Standard As He Wins With 3:36.51 (The "A" Is 3:35) He'll try again at next weekend's Sydney Track Classic. NY Times: Ethiopia Tries To Capitalize On Its Running Fame Recently top athletes including Haile Gebrselassie and Kenenisa Bekele have been using their wealth/fame gained on the track/roads to start successful businesses. Spikes-Mag Q&A With Olympic HJ Champ Anna Chicherova Asked about what event she would do if not HJ, she said, "The only thing I would never be able to do in athletics is to run long distances." *Video With Ennis: Says Meeting The Queen Was "Nerve-Racking"
Ethiopian World XC Trials: World Marathon Bronze Medallist Feyisa Lilesa Wins After Hard-Fought Battle With World Junior 10k Champ Yigrem Demelash Defending World XC champ Imane Merga dropped out in the later stages of the race. Steeplechaser Hiwot Ayalew won the women's race easily over a deep field. 12:47 5k man Hagos Gebrhiwet (who beat Galen Rupp in the Boston 3k) won the junior men's race. Women's 2-Mile: LRC Mary Cain Runs 9:38.68 For 2 Miles - The Greatest Distance Performance In US HS Girls History Tirunesh Dibaba was way ahead of the field as she won in 9:13.17. Rest In Peace Will Steele - aka "The Cancer Guy"
LRC Celebrating The Life Of "The Cancer Guy" Will Steele Will Steele was running 18-minute miles last year. And never has there been a more inspirational runner on LetsRun.com. 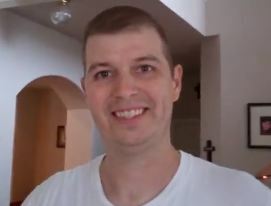 We pay our respects to this great man who contributed so much to the LetsRun.com community and lost his battle with cancer one month ago on Christmas eve. 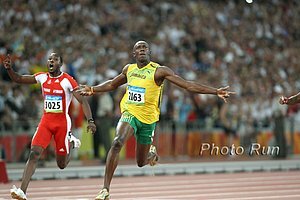 Jamaica's 9.80 Man Steve Mullings Loses Appeal Against Lifetime BanThe ban on the 2009 4 x 100 gold medallist was imposed in November 2011 after a second doping offence. Mullings is a guy who LetsRun famously got pulled from the NCAA meet back in 2005 when he was under his first IAAF ban which the NCAA didn't acknowledge. IAAF Recap Of Jamaican Carifta Games Trials The Carifta Games is a regional Caribbean meet for juniors. The highlights of the Trials was 16-year-old sprinter Michael O’Hara running 20.78 in the 200. Jenn Suhr Breaks World Record Suhr was perfect all day until she broke the world record at 5.02 meters. She then attempted 3 times at 5.07 (the highest vault indoors or out). *Reuters: "Gritty Suhr Happy To Finally Reach New Heights"
LRC Lopez Lomong Sets New American Indoor 5,000 Record - Runs 13:07.00!!! We recap the historic night in NYC that saw Lomong get the AR, Chris Derrick get the "A" at 13:12.00 and the rest of Jerry's boys struggle a bit at the end as the pace was super hot. Includes exclusive post-race interviews that include Teg, Lomong, and Derrick, who talks about German Fernandez and Alan Webb. LRC TWTW Part II: College: A Look Back At The 2013 NCAA Indoor Track And Field Conference Championships In part II of our weekly recap, Arkansas' Chris Bucknam gets praise, the nation's longest winning streak is snapped, we talk about the arbitrariness of victory and Mississippi State's one-woman track team, and introduce you to Nick Rivera, a freshman at Texas Tech who hasn't broken 1:52.03 this year but is a Big 12 champ. Plus props for the Virginia Tech and Washington State men, Betsy Saina, Abbey D'Agostino and Johns Hopkins in the D3 ranks. LRC TWTW Part I: Pros: Galen Rupp Runs 7:30, Japan Over US At The Marathon, New Orleans, Chris O'Hare, Dennis Kimetto And More We span the globe from New Orleans to Tokyo to Stockholm to give you some perspective on our sport. From analyzing Galen Rupp's incredible 7:30.16 to the awkward interview of the week, we've got it covered. Correction: Jerry Schumacher's Runners Are No Longer Part Of Nike OTC, They May Get A New Group Name Or May Just Run For Nike Note: We apologize for the misleading headline earlier. Explanation provided on the link. *What Should Schumacher's Group Be Named? Shalane Flanagan Says She's Happy She Ran A PR At New Orleans Half (1:08:31) Despite A Strong Headwind And Pothole-Full Roads She also said she'll be running the Stanford 10k on March 29th as a tune-up for Boston and to get the World Champs "A" standard.